Drudkh, Barastir, Carpathian Forest, Immortal, Dimmu Borgir and more. This show was 14th in the global metal chart. 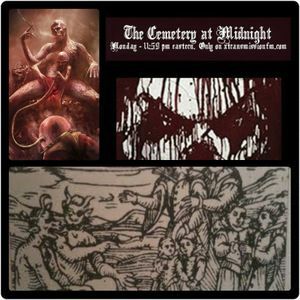 Archive from the live broadcast of the Cemetery at Midnight on xtransmissionfm.com, featuring tunes by Drudkh, Myrkur, Belphegor, Behemoth, Woods of Ypres and many more.